This article was written by Coddlington and edited by uberguber and Shymander of the MAL Articles Club. Fights and tournament arcs in anime often end with their main character(s) losing. Obviously, seeing a main character we like win can be incredibly fulfilling, but anime usually doesn't take this route. It can often be much more beneficial to make the main character lose than cash in on the enjoyment of seeing the good guy win. While some anime focus their arcs on getting the most action and pure satisfaction out of every fight, it’s also possible to instead focus on setting up other parts of the story. Backstory, plot progression, character development, and more can all require a main character to lose. Taking big risks with who is victorious in a battle can have drastic effects, positive or negative, on nearly every aspect of the story later on; many characters or even the whole cast can be affected by who wins important battles. When so much pressure lies on one competition, you can run into situations where the main character winning wouldn’t change anything, therefore losing out on a lot of thematic opportunities. Mixing things up by making the main character lose can open up a lot of new doors for a show. In Boku no Hero Academia 2nd Season, both Midoriya and Todoroki have yet to use their quirks to their fullest potential before their fight at the U.A. Sports Festival. Because of conflicts with his father, Todoroki refuses to use the Quirk he inherited from him, severely limiting his own power. Midoriya has an amazing Quirk, but can’t use it without hurting himself. If Midoriya had won the tournament, he wouldn't have been able to realize the fault in his Quirk. However, if Todoroki easily beat all of the competition with only his mother’s power, he would continue to harm himself by rejecting his father’s. 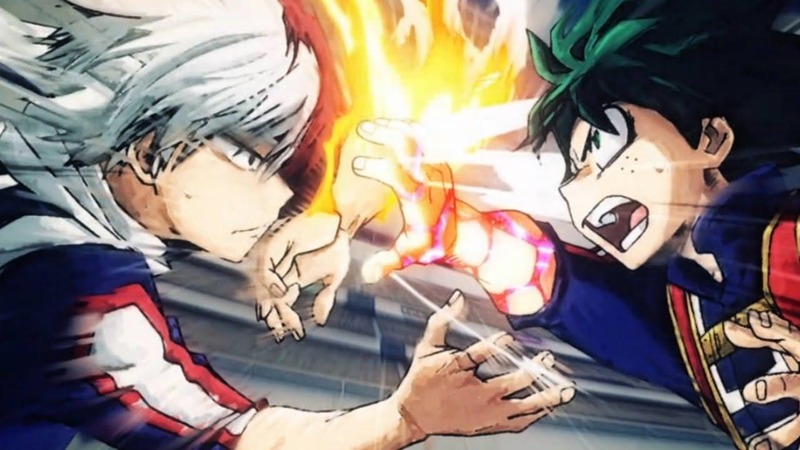 During the tournament, the entire fight between Midoriya and Todoroki is a struggle and Midoriya pushes Todoroki to use his fire constantly. The way the tournament unfolds allows Todoroki to finally ease into accepting his other side and Midoriya to understand the fault in his power. However, a main character’s loss doesn’t always confine its effect to the tournament’s participants. Before the Grand Prix Final in Yuri!!! on Ice, Yuuri Katsuki and his coach, Victor, were getting incredibly close, even going so far as to buy rings for each other. However, Yuuri plans to retire after the tournament, allowing Victor to return to his independent skating career. Victor is upset by this. After fighting, Victor and Yuuri bitterly end the night, agreeing to decide on the paths for their careers after the tournament has concluded. Once the first round begins, JJ still seems to be the obvious winner, but he quickly buckles under the immense pressure and loses his chance of winning. His fall not only raises the tensions for everyone else by making the top spot up for grabs, but avoids a predictable outcome with little opportunity for character development. Once Yuuri takes his turn on the ice and beats Victor’s record, it ignites a flame in both of them. Victor finally has competition, giving him motivation to return to the rink. Now having broken a world record, Yuuri realizes that just because he’s older, he still has room to improve. When Yuri Plisetsky takes his turn, his routine is a massive nod at Yuuri that he can’t quit yet; that he’s not done with him. With Yuri barely inching out on top of Yuuri in the end, Victor refuses to kiss Yuuri’s silver medal, saying he would only kiss gold. Yuuri’s loss sets him in the perfect position to continue his skating career. 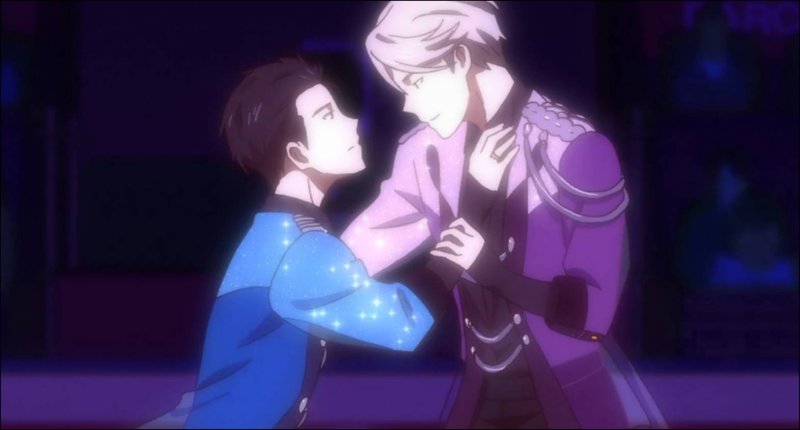 The way the tournament plays out puts everything into alignment for Yuuri and Victor to retain their partnership while still being able to continue with their own skating careers. While some examples of losses in tournament arcs may complement the plot, it’s also common to see a character lose because of their personal flaws rather than their power. 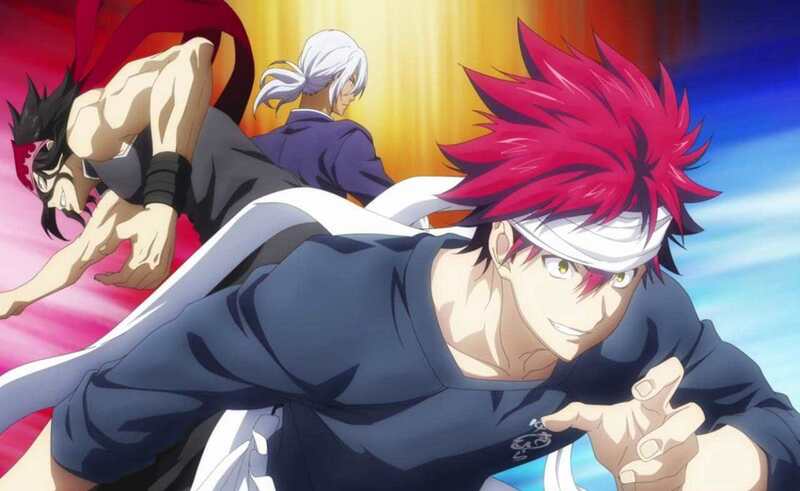 In the Autumn Elections Arc of Shokugeki no Souma: Ni no Sara, Souma, Ryou, and Akira seem to be on an even playing field. All having equally incredible performances in the previous rounds, the three had been unparalleled in their skills. With the final battle in motion, not one of the three participants seems to have an advantage. We’re given a ton of backstory via flashbacks for Souma, Ryou, and Akira, especially pertaining to their childhoods. The one surprising difference between them though, other than the "individuality" that serves as the tiebreaker in Akira’s favor, is their motivations. Souma, Ryou, and Akira are all here because of Joichiro, Alice, and Jun respectively. However, Akira fights for Jun, while Souma and Ryou fight for the sake of competition. Souma and Ryou have a hard time accepting that there are those who are better than them, largely because of being raised around people much less skilled than them. However, Akira’s intentions are always to fight for Jun. After being rescued from poverty and homelessness by Jun, he dedicated all of his cooking to her. Souma and Ryou’s losses serve as a wake-up call for them. They realise that they still have to expand their horizons, accept that they aren’t the top of the world, and fight for more than just themselves if they want to improve. As Souma says in season three, "I’m actually glad I lost that day. Thank you, Hayama. If I hadn’t lost to you that day, I wouldn’t be the chef I am now." Though a tournament can affect episodes to come, sometimes they can be presented in a way that set up the next arc. In Hunter x Hunter (2011), the tournament to decide who will and won’t become a hunter follows a strange format of 8 winners and 1 loser where nobody receives an even amount of battles. While it seems unlikely for Killua to be the weakest of the 9 different contestants, he is taken out of the tournament by force. Gon and Hanzo, being selected as the participants with the most hunter potential, end their intense battle with Gon becoming unconscious. Later, the participant Gittarackur turns out to be Killua’s older brother, Illumi, and doesn’t have Killua’s best interests in mind. Gittarackur manipulates Killua by telling him that he doesn’t need Gon, or anyone for that matter, as a friend. 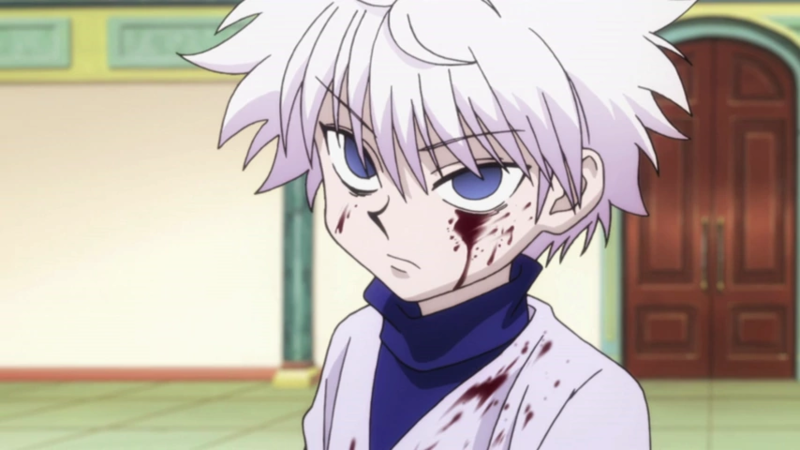 Killua becomes convinced that he, an assassin, doesn’t need or deserve friends in the first place. He also decides that he doesn’t need a Hunter License, killing another contestant for the sake of being disqualified. Gon, being unconscious from his match with Hanzo, was unable to help Killua, who had already returned to his home. This is a perfect setup for the Zoldyck Family Arc, an incredibly important arc to Killua’s character development, along with the establishment of his family in the story. Instead of letting Gon and Killua predictably pass, get their Hunter Licenses, and go on the road without much trouble, HxH throws in a massive twist that jumpstarts an essential arc before continuing with the plotline. It can be incredibly beneficial for side characters, such as Todoroki and Hayama, to have character development through winning. While a main character can be more easily developed by winning or losing, a side character not winning a tournament arc often has no effect on them as a character. Hence, it’s often valuable for a side character to win so more development can be given to the cast as a whole. A lot of main characters are overly confident in their abilities, unaware of how much room they have to grow, struggling to find motivation, etc. Losing a tournament can make a character realize how much they need to grow and in what areas. A character’s placement may not only affect them, but affect those close to them as well. Sometimes, a loss by the main character can create a butterfly effect to set the story up in the exact way it needs to be for the plot progression. Whatever the reason, there are plenty of ways to make a main character’s loss much more beneficial than a win. A 1961 episode of The Twilight Zone entitled, "A Game Of Pool" features two men playing a life or death game of pool under supernatural circumstances. The 2013 anime short film Death Billiards also features two men in a life and death game of billiards; but just how similar are the two? The 5 Epic Battles of Hunter x Hunter! Hunter x Hunter is an anime with some truly epic battles between many of the very large cast of characters. Read on to get a taste of some of the more epic fights! So many characters, so much power. It's a daunting task, but let's take a look at the series' 30 strongest characters.